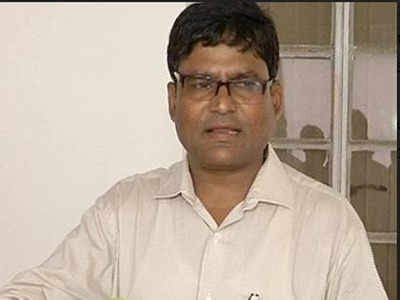 Bhubaneswar: Expelled Congress leader Krishna Chandra Sagaria today blasted the State party leadership, including PCC president Niranjan Patnaik and Leader of Opposition Narasingha Mishra for their activities and also said that he will prefer selling pakora to joining the ruling BJD. He also slammed Jeypore MLA Tara Prasad Bahinipati. “Congress has surrendered before Chief Minister Naveen Patnaik. Both Congress and BJD are now being run by mining mafia,” alleged former the Koraput MLA, adding that he will prefer selling ‘pakora’ to joining BJP. Asserting that he was not involved in any type of anti-party activities, Sagaria said the Leader of Opposition has direct links with the (Third Floor) Chief Minister’s Office. “I am not involved in any type of anti-party activity. I had demanded removal of Narasingha Mishra from the post of Leader of Opposition as he has direct links with third floor and he wants his son to join BJD,” claimed Sagaria. Notably, Late on Saturday night, the Congress expelled former Union Minister Srikant Jena and Dalit leader Sagaria on charges of anti-party activities. Notably, party working president Naba Kishore Das and tribal MLA Jogesh Singh also resigned from the party last week.